UltraWeb Marketing has established itself as the goto Woocommerce Web Design company in the United States. Specializing in South Florida Web Design UltraWeb Marketing has created many successful e-Commerce web designs for new and existing companies. Whether you have an established business or are a new brand seeking local seo or national search engine optimization recognition, we can improve your search engine presence. Making your business an authority for your particular industry is our specialty. Our Woocommerce Web Design experts can customize any aspect of your WordPress theme. From multi-level subscription and subscriber levels with pricing points available to tiered member users. As a respected woocommerce development company we can handle any type of request related to your products with variant listing that allow your customer the ability to choose from a myriad of options. When choosing a Woocommerce Web Design developer you should make sure they have a portfolio of satisfied customers. 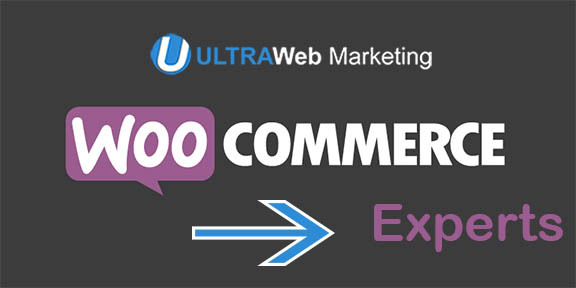 UltraWeb Marketing has established itself as the woocommerce experts with many satisfied eCommerce website design customers. Security Camera King is one of the most successful online sellers of Security Surveillance Cameras in the United States. They generously do over $700,000 in online website based sales monthly for over 10 million annually. They have been using one of our most aggressive SEO (Search Engine Optimization) plans for almost ten years. A combination of Google Adwords (Pay Per Click) and Natural SEO with heavy social media campaign have helped Security Camera King establish itself as the an industry leader for all Security Surveillance related products. Call today if you have any questions for our Woocommerce Web Design experts about how we can help get the right amount of exposure for your eCommerce products. Our woocommerce custom product designer will make sure your products are available to those who are searching and looking for those specific types of products online. We make sure your products reach the intended target audience by combining heavy search engine optimization techniques with each woocommerce product that is listed. When you need WordPress website development call the WooCommerce Experts to find out how we can work together to get your company, products or brand the right amount of exposure to be fruitful. Any type of online marketing we perform has in depth analytic reporting attached to it that is fully accountable. Each and every visitor to your website can be tracked from phone calls to form fill outs all the way through to the checkout process. When using UltraWeb Marketing for WooCommerce Web Design every inch of your investment if fully tracked. Expenses are measured against cost and being profitable is our number goal. What Type of website do I need?